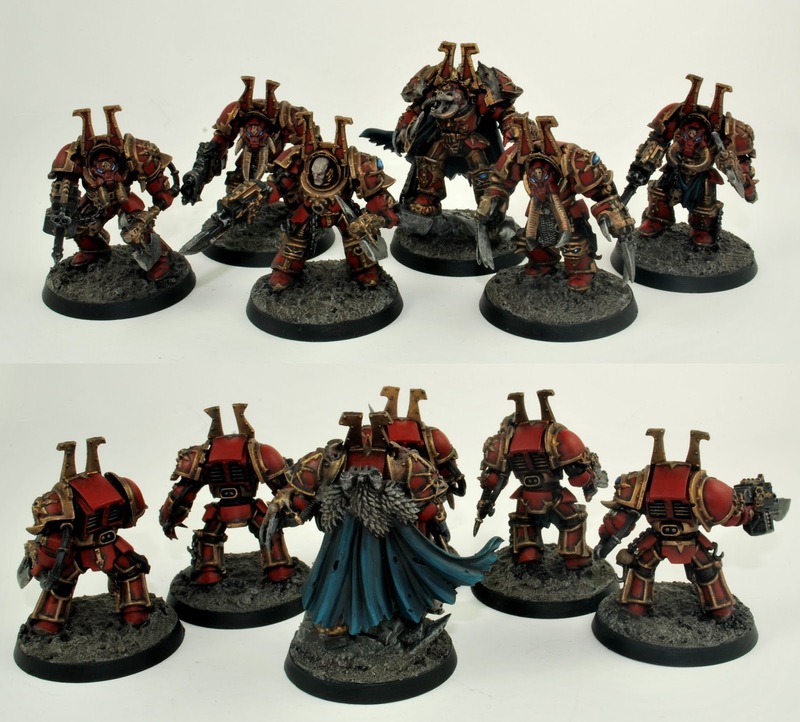 MiniKingdom: Chaos Space Marine Terminators with bunny ears! Here's a little side project I've been working on over the past month or so, as I can only handle so many elves before I go mad! Five Chaos Space Marine Terminators with their Lord have all been painted to a high-gaming standard in the Khornate style as well as been converted with some funky Khornate bunny ears. If anyone's interested they're now available on eBay.